Since the true nature of mind is clear light or clarity and emptiness inseparable, one has to rest self-settled, uncontrived, and relaxed within the state of clear light. All the various steps of meditation of the different schools of thought, from the absence of self in the individual up through shentong, accord in the essential point of meditation being merely freedom from mental fabrications. They all differ on how they describe this mere freedom from fabrications, but they all agree insofar as their meditation of the absolute is simply freedom from fabrications. 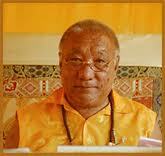 Khenpo Tsultrim Gyamtso Rinpoche, Meditation on Emptiness, Nalandabodhi Publications, 2001, p. 67.